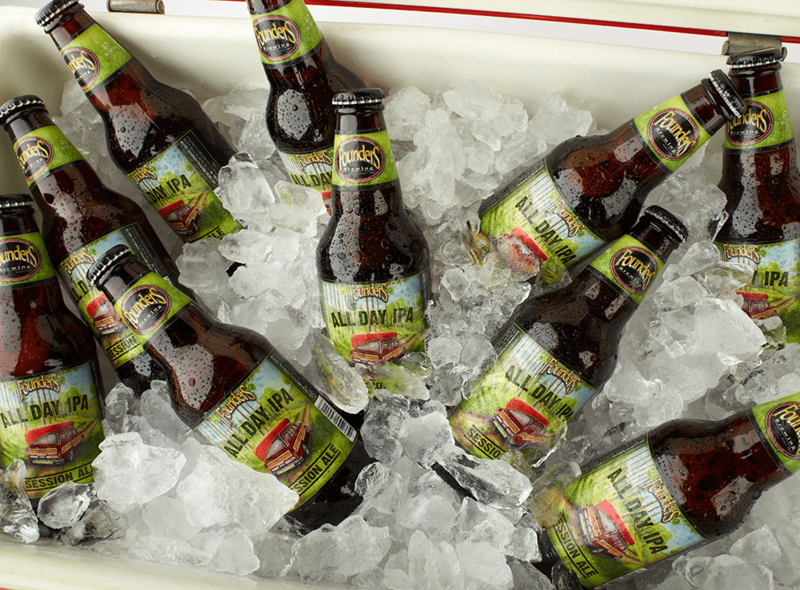 Founder's All Day IPA packs a hop punch with a lower ABV - perfect to keep the party going. Photo courtesy of Founders Brewing Co.
Houston’s summertime heat and humidity are in full effect, which means the high ABV Imperial Stouts and Double IPAs take a necessary backseat to lighter, session beers. The Houston Food Finder Summer Six Pack is sure to get you invited to parties all summer long. While not all of the selections are local to Houston, they are all readily available at your local grocery and liquor stores. Sorry, some assembly required. 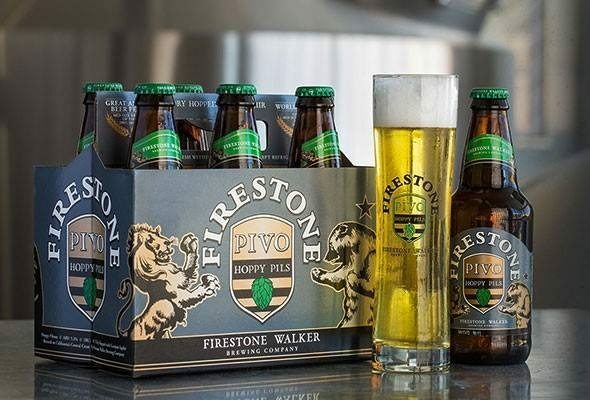 Firestone Walker’s Pivo Pilsner. Photo courtesy of Firestone Walker Brewing Company. Starting with the easiest drinker in the group, Pivo is a traditional German Pilsner. The dry hopping process gives this brew a pleasant floral aroma, with plenty of lemon citrus and malt flavor. At 5.3% ABV, Pivo is slightly stronger than other Pilsners, but still plenty drinkable in the summer heat or as a celebratory completion to some yard work. Houstonians are in love with hoppy beers. After all, you drank more Stone IPA’s than the rest of the country, leading to The Petrol Station being named the Most Bitter Bar in America just a few years ago. All of those hops come with a high ABV and in this heat, that means one or two beers pack a day-ending punch. Thankfully, Founders created a delicious Session IPA to keep the party going all day. At 4.7% ABV, this beer is only slightly stronger than your everyday domestic option — with exponentially more flavor. Lone Pint Brewery’s Yellow Rose IPA. Photo by Alex Bennet. How can we recommend an IPA after just talking about how one or two can end your day? Well, that’s easy. Yellow Rose is nothing short of amazing. Earning the elusive “World Class” rating from Beer Advocate, this Smash (Single Malt and Single Hop) IPA is remarkably fragrant and citrusy on the palate. 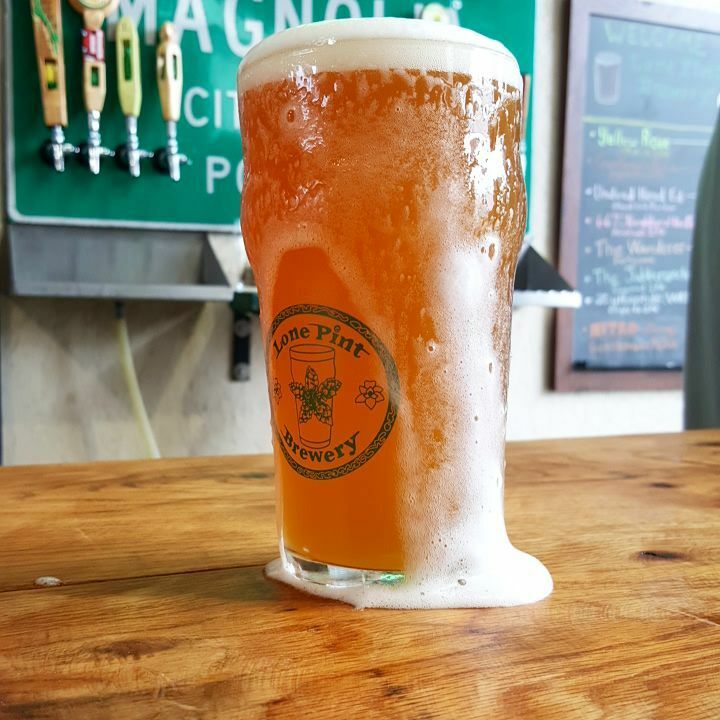 Lone Pint is excellent at always having freshly brewed beer on the shelves, to ensure the delicate Mosaic hop flavor is always at its peak. If having a couple of these 6.8% ABV bottles is all you can handle, well that’s just fine — there’s always tomorrow. Galveston Bay Beer Company’s Watermelon Wheat. Photo courtesy of Galveston Bay Beer Company. Nothing signals summertime like juicy watermelon. 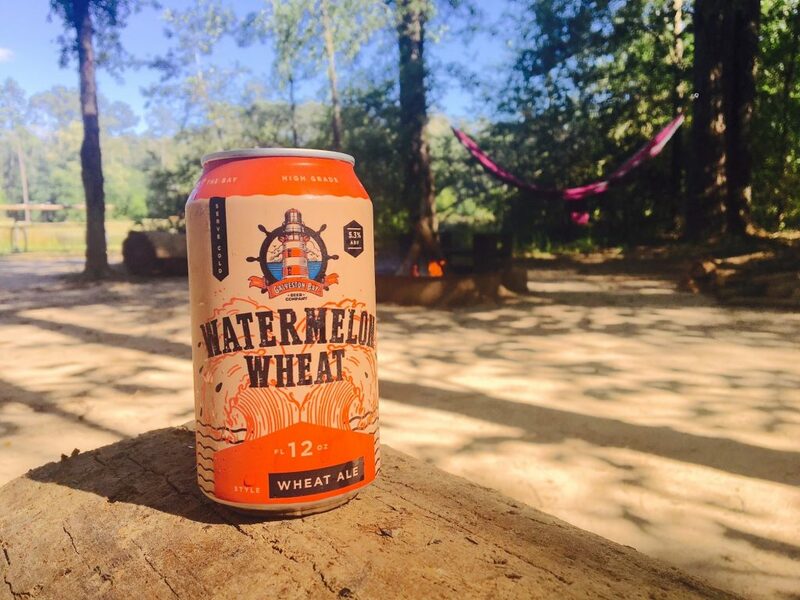 Galveston Bay’s Watermelon Wheat is a perfect companion for a summertime picnic. Based on of their Wheat Ale, this beer is so popular, it’s brewed year round. The addition of watermelon gives this beer a sweet taste, making it a great option for friends who don’t consider themselves beer people. At 5% ABV, even those new to beer won’t find this too overpowering. Saint Arnolds Raspberry AF. Photo by Lan Nguyen. Texas’ Oldest Craft Brewery has definitely expanded its horizons over the last few years. Back in 2014, it launched Boiler Room — its first Berliner Weisse style beer. The sour style was brand new to the brewery, but it was an immediate success. 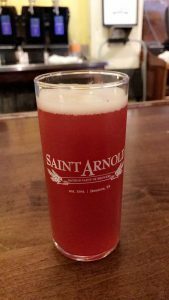 It was so popular, that Saint Arnold held a ticketed event where it sampled eight variations of the brew with different fruits, syrups and aging styles. The raspberry version was immensely popular, and after a few test batches, Raspberry AF was born. Fun fact, the name was never meant to stick — it’s how the employees referred to the beer internally, but they eventually realized that they’d accidentally struck gold. This light bodied sour beer claims a minimal 3.5% ABV though it’s anything but light on flavor. The raspberry fruit is immediately noticeable once the can is opened. The first sip is very tart — almost overpowering but fades quickly into a dry sensation leaving you thirsty for another sip. This Gose may not be from Texas, but we’re very glad to have it. Photo courtesy of Anderson Valley Brewing Company. 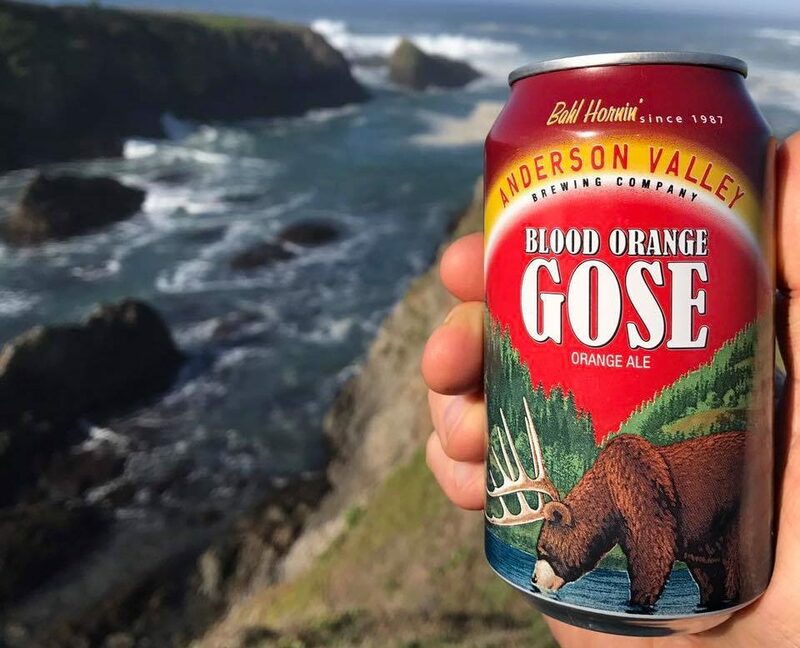 Gose beers have absolutely risen in popularity over the past few years, and Anderson Valley’s Blood Orange has proven to be a huge success. This unfiltered wheat beer has so many impressive flavor profiles that a group of five could easily all discern different base flavors. Salty, tangy, citrusy, sweet and tart are all applicable here. Anderson Valley says that the addition of blood oranges give the beer a champagne-like flavoring. One sip of this 4.2% ABV beer will require another and another. Our Summer Six Pack was designed around a few different factors — quality, cost and accessibility to name just a few. Houston is fortunate to have so many fantastic options available to us, that even creating a 99-pack like Austin Beerworks famously did a few summers ago would omit plenty of worthy options. With that in mind, we offer four additional Honorable Mention beers that were omitted from the Six Pack due to being slightly more difficult to get your hands on. All of the beers listed below are available directly from the brewery, and release dates are posted on the company Facebook pages. Josh Armendariz is Houston Food Finder’s lead freelance beer and cocktail writer. He can often be found on a stool at your favorite bar, sipping a hoppy craft beer and talking about the Astros with anyone who’ll lend an ear. Follow him on Instagram at @drinkwithjosh.